208 weeks since last adult wolf release! Great Letters to the Editor in Southwest Papers! Amazing Recording of Wolf Howls! Big Boost for Mexican Wolves! Friday the 13th is normally associated with bad omens. But Friday, November 13 brought the end of SOP 13 and a new era of opportunity for Mexican gray wolves! Will the Mexican Wolf Survive the Obama Administration? Who's Afraid of...the Big Bad Wolf? Conservation groups asked the federal government Thursday to investigate the deaths of three endangered Mexican gray wolves found dead in southwestern New Mexico. 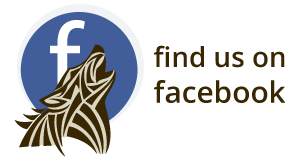 A great opportunity for students to learn more and express themselves about the Mexican wolf! A lawsuit filed by conservation groups to protect Mexican wolves is still alive. Opinion Poll: Southwesterners Love Wolves! Residents of Arizona and New Mexico overwhelmingly support having Mexican gray wolves back in the wilds of their state. 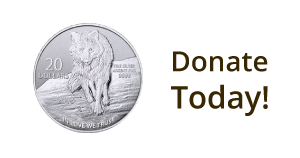 While all the organizations participating in mexicanwolves.org share the common goal of recovering the Mexican gray wolf, individual groups can, and sometimes do, differ in their approaches to specific issues.